Susie’s background is civic design. She is the Head of Placemaking and Housing, within Planning and Architecture, at the Scottish Government. She helped to create Scotland’s first policy statement on design called ‘Designing Places’ and is responsible for working with Ministers on policy and advice together with local authorities and house-builders to deliver design outcomes. Whilst at the Government, she was invited to participate in the Senior Civil Service Leadership Programme and has undertaken two secondments. One was at the Prince’s Foundation for the Built Environment (London) after which she completed an Architectural Drawing Class at St. Martin’s College. The other was at the Scottish Borders Council where she worked on the delivery of strategic placemaking along the new Borders Railway corridor – a £350m infrastructure project – the largest UK mainland rail construction for 100 years. Working at all scales in design, Susie is inspired by creating efficiencies and quality in the planning system. In particular, she developed a new form of strategic mapping for Scotland’s National Planning Framework. Throughout her work, she also seeks to simplify what can often be seen as the complexity of urban design and looks to promote placemaking in a practical way. 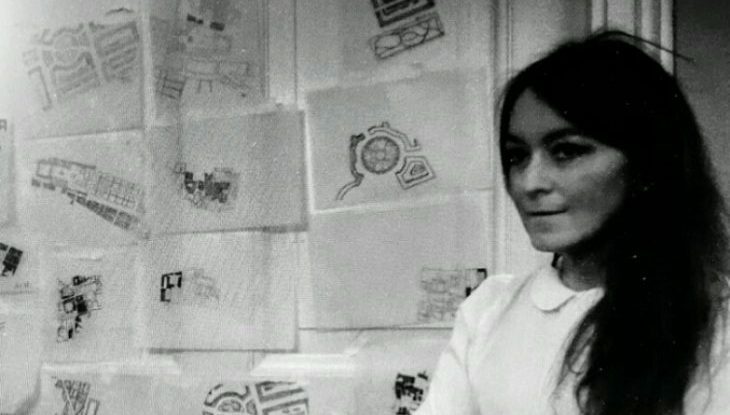 Core to this was her creation of ‘Drawing Places’ workshops which brought planners back-to-basics in understanding ‘place’ through becoming more visually, and graphically, confident. On moving forward, her thinking is now being applied to pilot housing projects for Simplified Planning Zones where she’s developed ‘Smart Design’. This is a succinct way of helping planners analyse a site and develop design templates to streamline masterplanning. Last year she was a Judge for the Royal Incorporation of Architects ‘Doolan Awards’ – Scotland’s prestigious architectural £25,000 prize. Throughout her career, she has championed young talent and started a Student Design Competition. This attracts students, from all over Scotland, to participate in an intensive day of learning on ‘live’ place projects. Subsequently, she sits on the Board of Accreditation for the Royal Town Planning Institute. Outwith work, Susie loves inventions which led her to create her own project with Strathclyde University – winning a Design Award. Susie will be presenting during the workshop on Design and innovation in housing on Friday 29 June. Although every effort is being taken to ensure the accuracy of the Congress programme, the Academy reserves the right to change any details of the programme (venues, content, timings, speakers) up until and during the event.